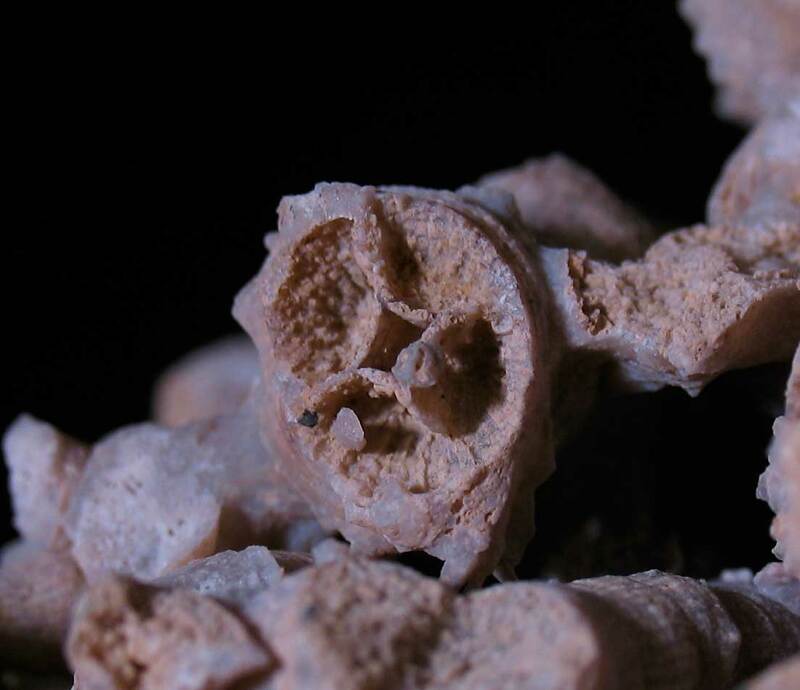 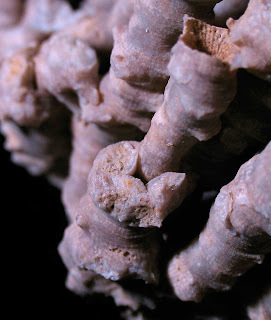 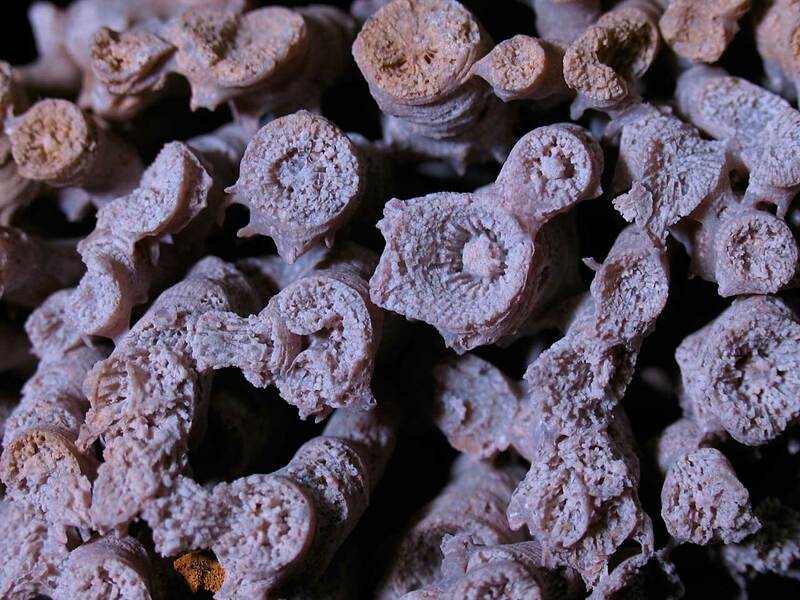 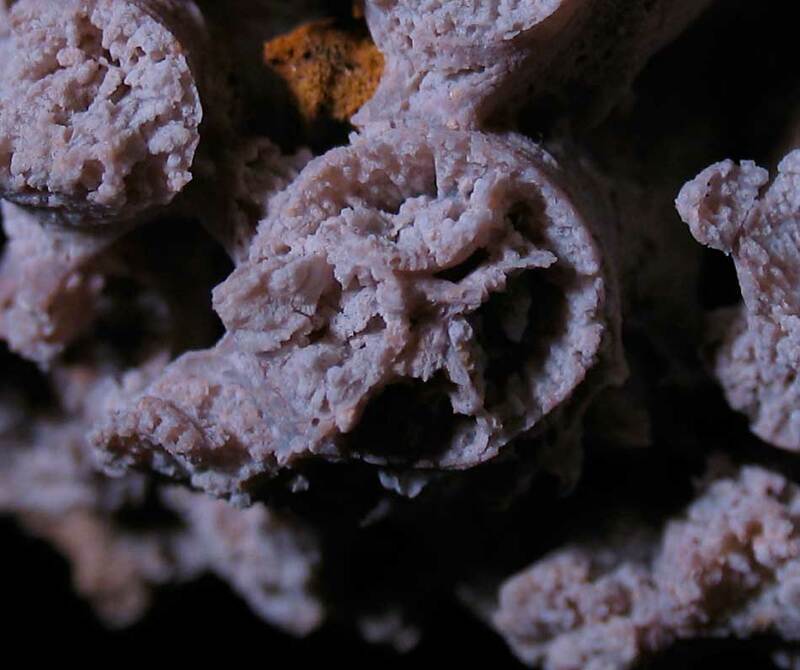 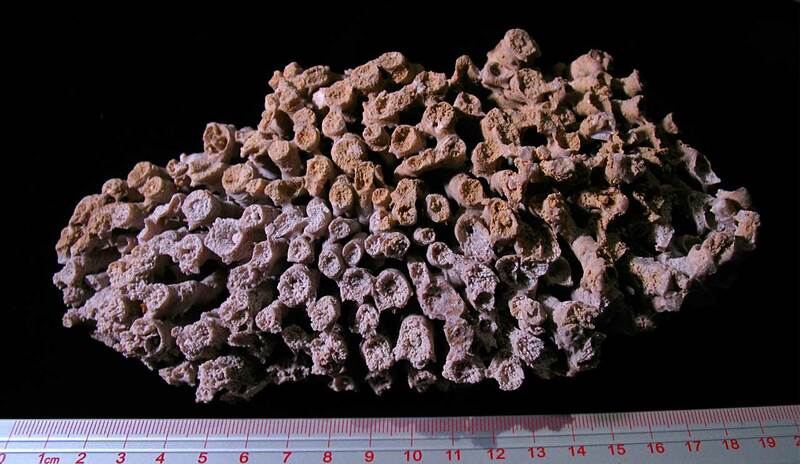 This series of pictures shows an Entelophyllum coral found in the Louisville Limestone of Jefferson County, Kentucky. 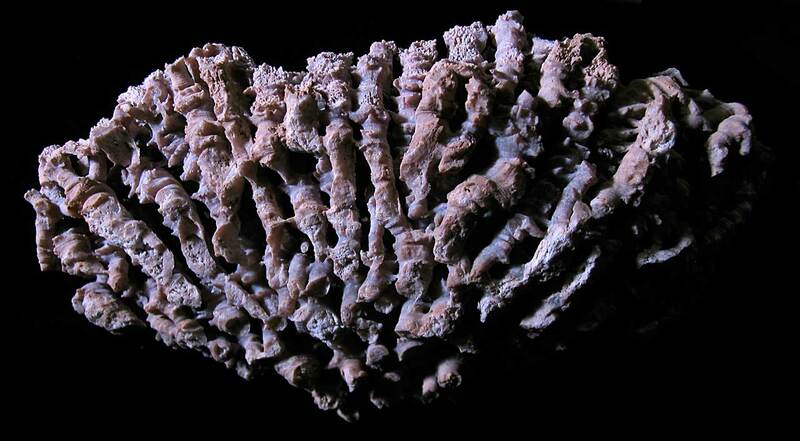 Using large amounts of muriatic acid and patience, this coral was revealed from its limestone matrix. 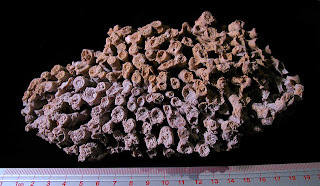 It is almost 20 cm long. 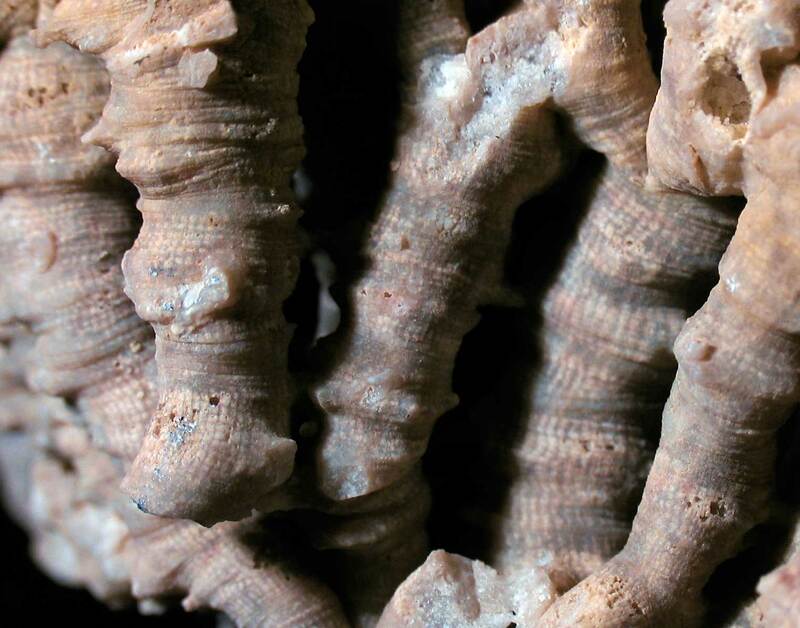 These first two pictures show evidence of the corallites budding from a parent. The two images after that show the talons that connected the corallites together. 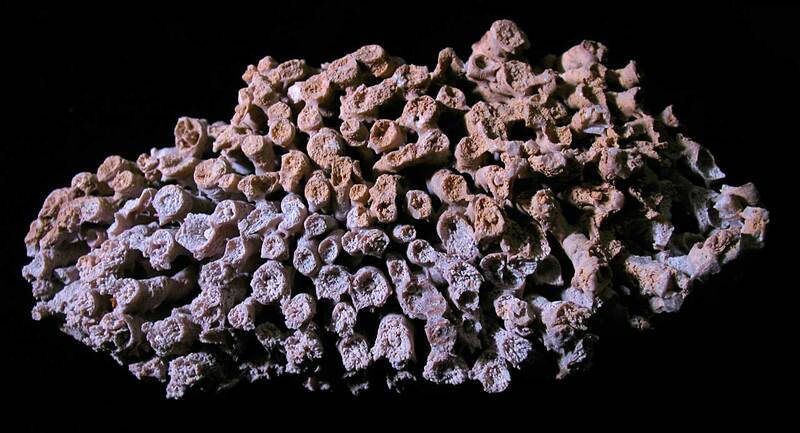 Three species of Entelophyllum are found in the Louisville area: E. eruciforme, E. rugosum, and E. strictum. This coral is from the Middle Silurian but can sometimes be confused with the Devonian Eridophyllum found in the Jeffersonville Limestone. 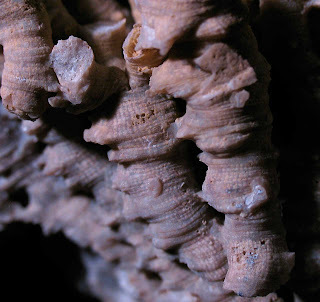 The genus has also been known in the past by the name Diphyphyllum or Xylodes. 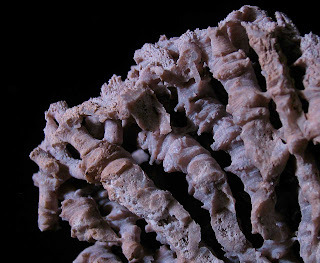 Thanks to Kenny for letting me photograph this specimen and good job on its preparation. Close ups of the corallites side view. Close up of some of the coral septas in the colonial mass.